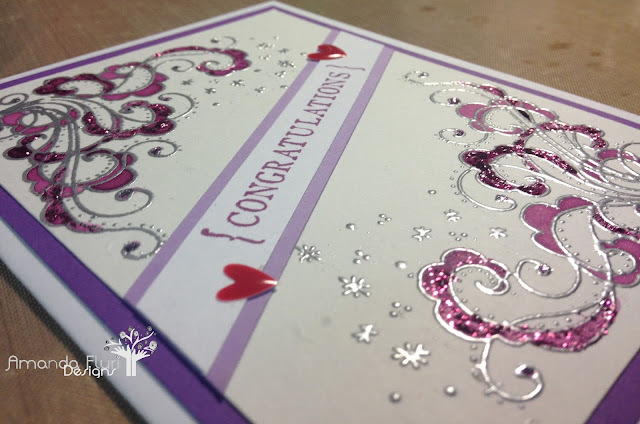 I am here to share with you Day 15 of my October Card Challenge. I hope that you are enjoying this challenge, and that you are seeing some designs that you like. Keep in mind that the majority of cards that you see here on my blog are available for purchase. If you don't want them done exactly as I have shown and want to switch up the colours, or the papers, wording, etc. I am able to help accommodate those. Just contact me! 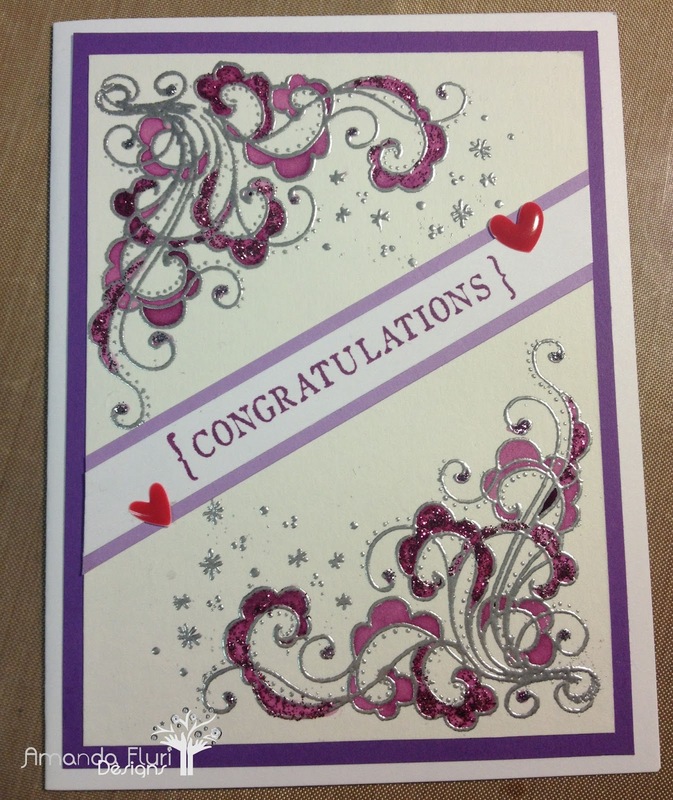 This card isn't Birthday related, but can be used for wedding, baby, job promotion, etc. I know I said I was going to try to do something other than Birthday or Wedding so I tried. Purple Pattern Paper - from my scrap box so no links available for it.